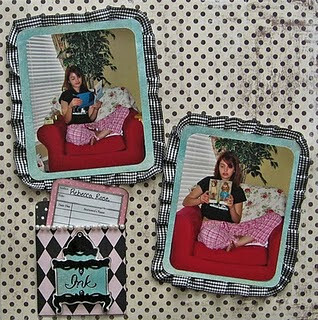 Ribbon Challenge Top 3 & Prize Winner! Becky has a great tutorial on how to make these cute little sock cupcakes on her blog. Click HERE to go see it! If you ladies would like your Top 3 blinkie, email me at barb.craft@att.net! I would like to thank The Cutting Cafe for donating this week's prize which is the winners choice of 3 digis sets! Congrats Chrissy! Email me at barb.craft@att.net to claim your prize! You won the Technique Junkie Prize Package! Since it is the Christmas season and I am feeling very generous, I am going to give you 7 more days to contact me or I am going to have to draw a new winner!! We will be back tomorrow with a brand new challenge and a prize you are going to want to win!! Congrats to all the talented winners! congrats to all the winners!!! and how adorable are those sock cupcakes!!!!!! congrats to the top3 and the winner. all of those are some great! Congrats to the top 3 and to all the talented ladies that played along with frosted designs!! Thanks so much!! The cupcakes were so fun to make and even more fun to give away! !